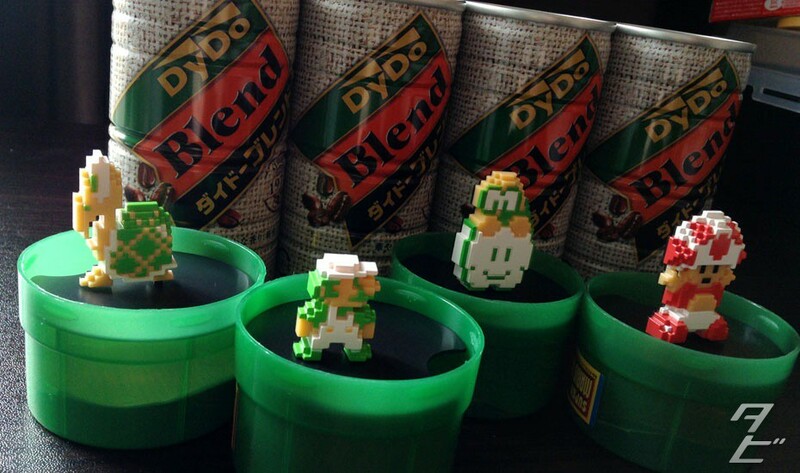 Tubbygaijin.com » DyDo Coffee x Nintendo – Limited edition 8-bit figures! 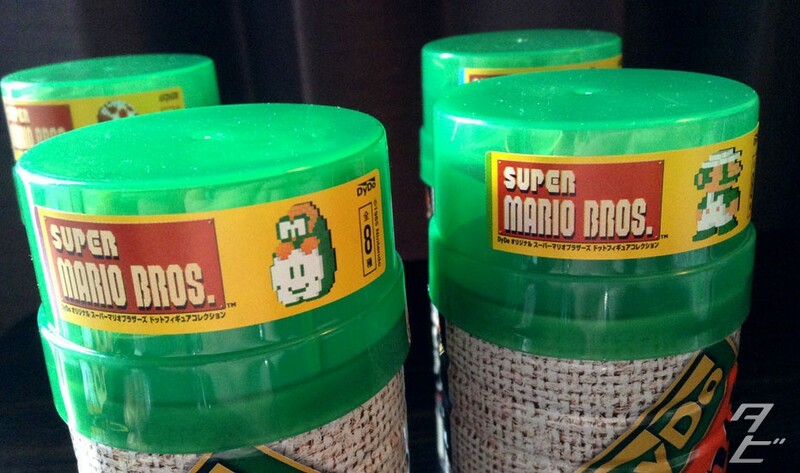 Both DyDo Coffee and Nintendo are celebrating some milestones this year, 40 years since launch for DyDo and 30 years since the release of Super Mario Bros for Nintendo. 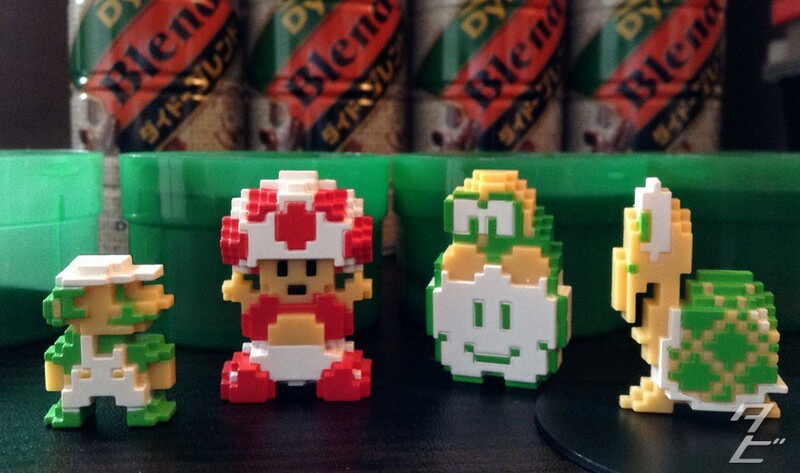 So they’ve teamed up to give away some cool little free figures with the DyDo and Demitasse coffee drinks. These were actually released about two weeks ago and are only available while stocks last – I’ve been keeping an eye out for them for ages, and finally found them in a small convenience store in Sakai Higashi Station! 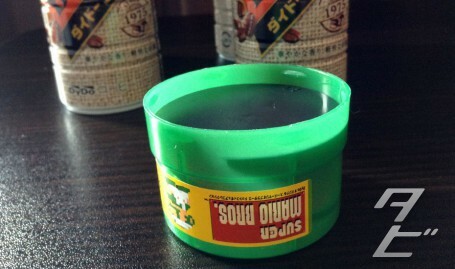 When special items like this come out it can be a real pain to find a store stocking them. 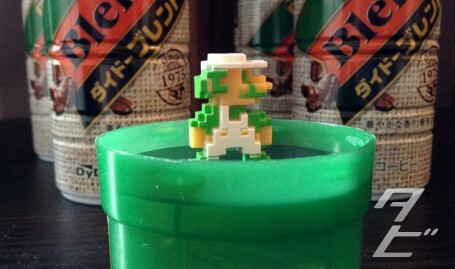 Pop the green lid off the can and flip it over, the it doubles as a stand and looks like a warp pipe! There are eight figures in total, Mario, Luigi, Peach, Bowser, Toad, Goomba, Koopa Troopa and Lakitu. I found four of the maybe less popular ones but they’re still great! 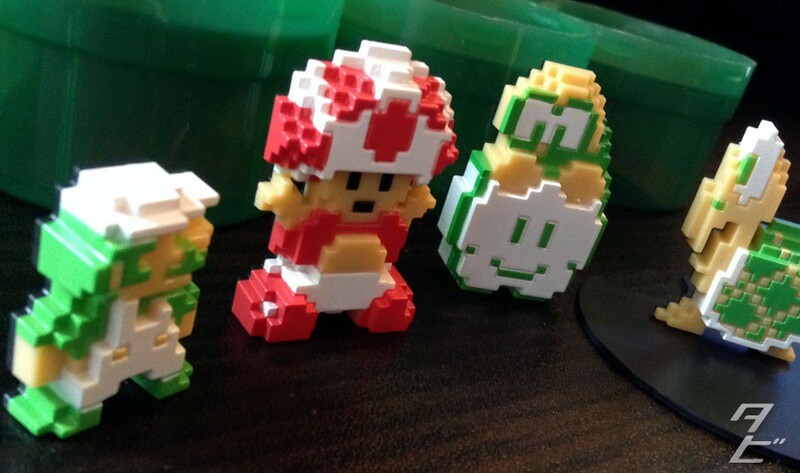 The figures are all nicely 8-bit styled with a bit of depth of 4-5 blocks depending on the figure. They’re well made and coloured especially considering they’re free, the coffee isn’t expensive either at only ¥124 a can. I love collaborations like this, I’ll have to keep an eye out for the others!